"The Nephrologist as a Consultant for Acute Poisoning Epidemiology of Severe Poisonings in the State of Rio Grande do Sul and Techniques to Enhance Renal Elimination." J Bras Nefrol. 2010 Dec;32(40:340-8. Pedroso, JA., et al. Hospital de Clinicas de Porto Alegre, Porto Alegre, Brazil. The outcomes of patients with accidental and intentional poisonings were studied in Rio Grande de Sul, a state in Brazil. Cases reported as severe to the Poisoning Control Center were reviewed, and poisonings were due to drugs and pesticides. Acute poisonings were most often due to medications, such as anticonvulsants, antidepressants, barbiturates, sedatives, and antipsychotics. Pesticides included organophosphates, bipyridyl compounds (such as paraquat and diquat), and glyphosate (Roundup). Spontaneous vomiting occurred in nearly 8% of the people. Gastric lavage to clean the stomach was done in 72.7% of cases, and charcoal was used in 69%. Urinary alkalization was done in 18.4% of cases to improve excretion of the poison. Dialysis was done in only 4.5%, but was judged later to be indicated in nearly three times as many people. 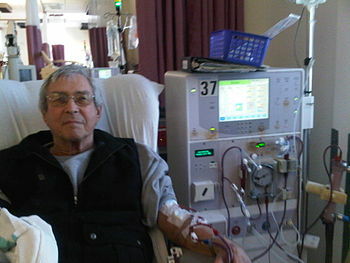 (Renal dialysis is increasingly used to improve the patient outcomes.) Urinary acidification, hyperbaric oxygen, and chelation were done in some cases. There was an increased association between death and the following: males, rural location, agricultural poison, and attempted suicide. The use of activated charcoal and urinary alkalization were associated with a decreased risk of death. In cases of agricultural poisons, paraquat and diquat were most used. CONCLUSION: The experience with treatment of poisonings was reported from a state in Brazil. The reviewers conclude that dialysis is used less than is indicated, and the institution of dialysis was delayed considering the benefits to the patients. NOTE: Read about the use of compound plant extracts for protection from zenobiotics, such as Roundup.